Detail Project`s WBS had been defined from previous author`s blog, the previous WBS had been developed in accordance flat linier hierarchal process as basic WBS models, this model has some limitation for capturing and tracking WBS elements especially for EF Rebuild project as large scale projects that has multi complex scope, various product deliverable and different location / zone. In accordance the limitation of these “conservative” WBS models, Jean Yves Moine introduced 3D WBS model as new WBS model that projected 3 types of tree structure and combined them together to form one cube model that make effective different in the project management fields. So exploring another WBS models for implementing at EF Rebuild project is very interesting to be learnt, for optimization Project`s decompose result and minimize un-capture projects scope due to in appropriate WBS model`s that to be applied. Following alternatives of WBS models which need to be analyzed further for best WBS model selected in EF rebuild projects. Decompose project element into Product Breakdown Structure (PBS), Zone Breakdown Structure (ZBS) & Activity Breakdown Structure (ABS) . Integrated all “alternatives 2” work break down elements (ZBS, PBS, ABS) into 3D WBS. 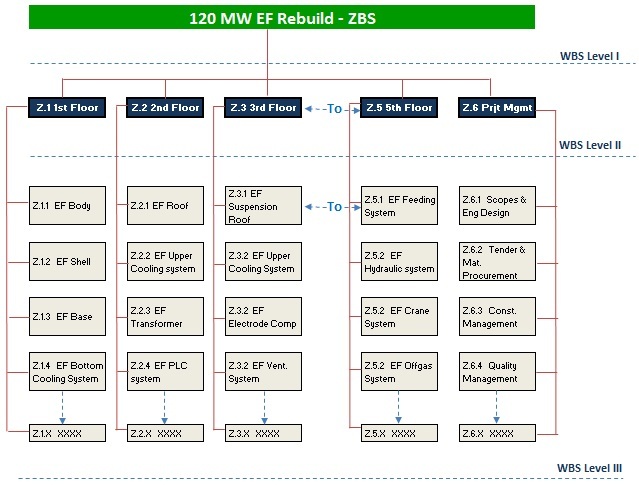 A. EF1 Rebuild Project– Zone Breakdown Structure (ZBS). 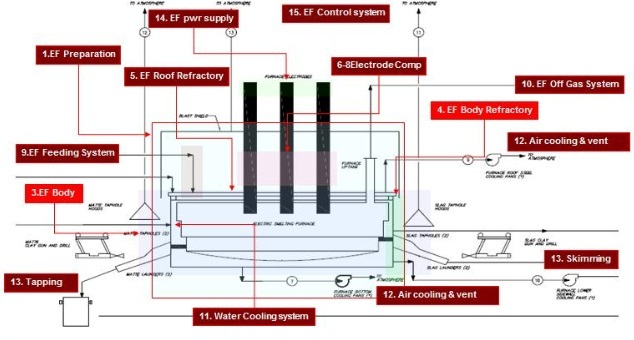 Figure 1.2 – Electric Furnace Storey. Chart 1.1 – EF Rebuild ZBS. 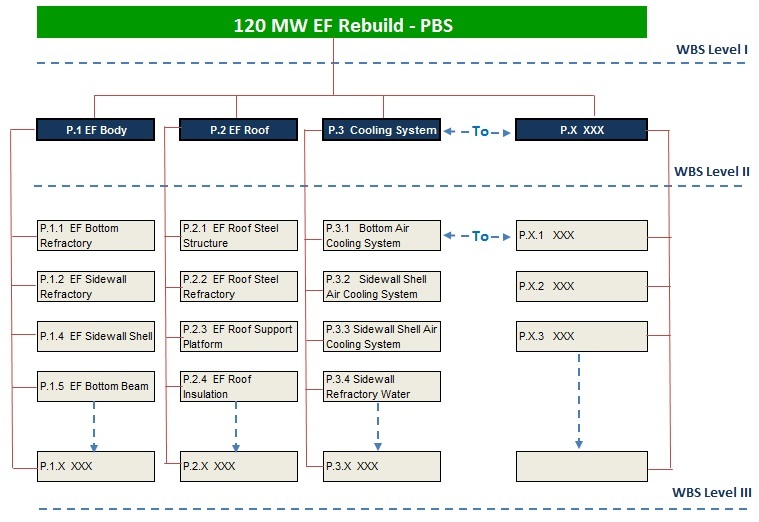 B. EF1 Rebuild Project– Product Breakdown Structure (PBS). Figure 1.3 – EF components. Chart 1.2 – EF Rebuild PBS. 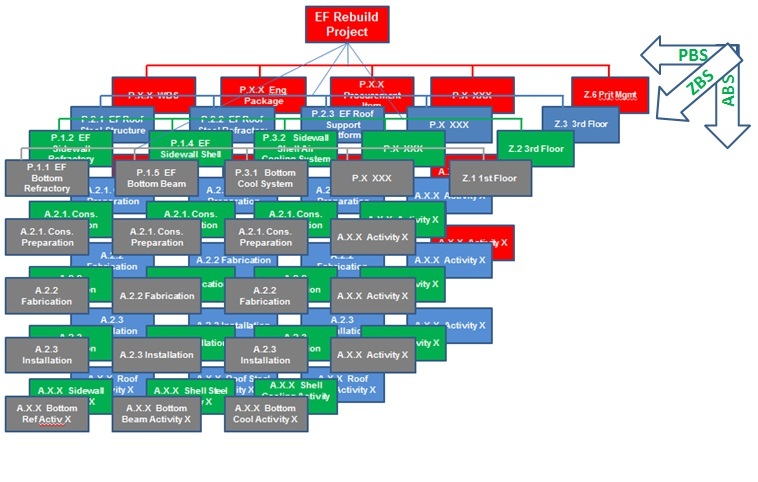 C. EF1 Rebuild Project– Activity Breakdown Structure (ABS). 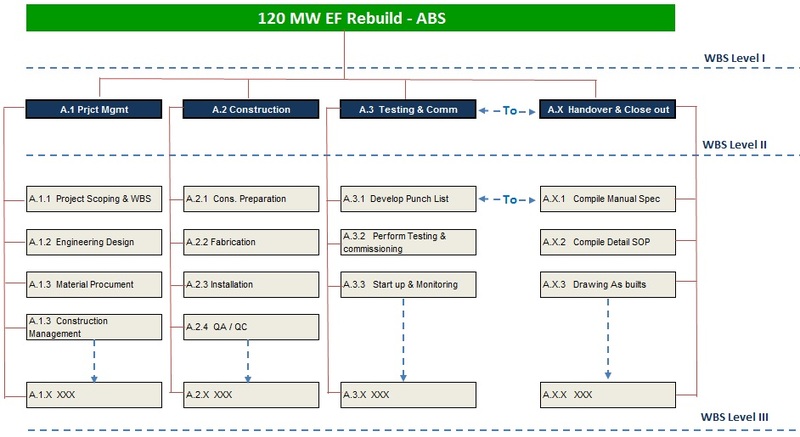 Chart 1.2 – EF Rebuild ABS. D. EF1 Rebuild Project– 3D WBS. 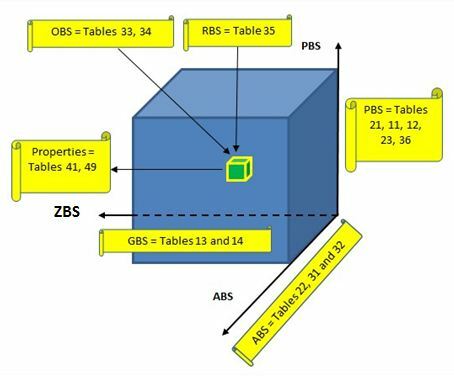 The 3 types of EF rebuild project dimension are mixed together to form dimensional cube where PBS as x-axis, ABS as y-axis and ZBS as z-axis, which shown at 3D WBS at figure 1.4 below. Figure 1.4 – EF Rebuild 3D WBS. What`s the EF rebuild components. Although detail project scopes already clear define thorough Project`s 3D WBS, detail communication and coordination with all project stockholder to continuously socialize detail project objectives and keep update every change request that may impact into project objectives. AWESOME Pak Satria!!!! Nice work on this……. Is Vale using 3D CADD in your design yet? If yes (and I am pretty sure the answer is YES) then what you should consider doing is writing your W13 blog posting on using the standardized coding structures from Omniclass as the only way to link the Schedule (4D CAD) and the Cost Estimate (5D CAD). It will help your career CONSIDERABLY if you can establish yourself as an EXPERT in the area of MARRYING the design (3D) with the Schedule (4D) and Cost Estimate (5D). There are not many people at all with the understanding of these various structures and how important it is to have a standardized coding structure to make it all workable.